#ShowSomeLocalLove at the first ever Love Local! 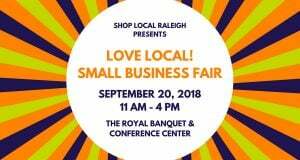 Small Business Fair showcasing all the unique members of Shop Local Raleigh! Whether you are a business owner in need of professional services or a shopper who loves supporting local, this fair is for you. Vendors, business workshops, professional services, prizes and more for your enjoyment and education. Business owners can take advantage of professional service vendors and breakout workshops throughout the day in the small business center. Admission and parking are free and there is something for everyone! Photographers, IT help, web designers, boutiques, home services, mortgage lenders and more. RSVP on our Facebook page! Shopping local fuels our local economy, reduces climate change impacts, creates more quality jobs, puts your taxes to good use, and keeps our community unique. Locally owned, independent businesses are the heart of Wake County. Show them you care and #ShowSomeLocalLove on September 20th! For questions or more information, email contactus@shoplocalraleigh.org. Cary Smith, a retired CPA, is a graduate of Florida State University. During his working career, he held positions as an IT Audit Manager for a “Big 4” accounting firm and management positions with several regional accounting firms. After 20+ years in public accounting, Cary formed his own consulting practice providing services to small businesses. His services included initial business start-up, business plan development, accounting system set-up/implementation, and formulation of policies and procedures. He was an adjunct professor at several colleges/universities teaching courses in small business start-up, accounting and computer technology. John joined York Properties in November of 2007. His specialty is retail commercial real estate with a focus in landlord ,and developer representation, market analysis, development, and general consultation. John vigorously represents the needs of boutique investors, private equity groups, small partnerships, family companies, and independent retailers. John began his real estate career in 1997 where he started as a broker with Shor and Associates servicing the Kmart surplus inventory. In 1999, he began to work with Hunter & Associates growing the leasing inventory from 20 shopping centers to almost 66 before joining the retail development partnership of KIMCO-Wakefield in the Carolinas in 2004. In 2002, he was named one of the Triangle’s Heavy Hitters, a designation given annually by the Triangle Business Journal to proven successful commercial brokers. Christina has over 16 years of experience focusing on retail leasing and sales. Prior to joining CBRE| Raleigh, Christina served as Director of Brokerage at Hunter & Associates. She oversaw a portfolio of 75 shopping centers totaling five million square feet. Christina focuses on small shop leasing, major shopping centers and urban retail for national and local owners. She currently represents three of the largest shopping center owners in the nation. 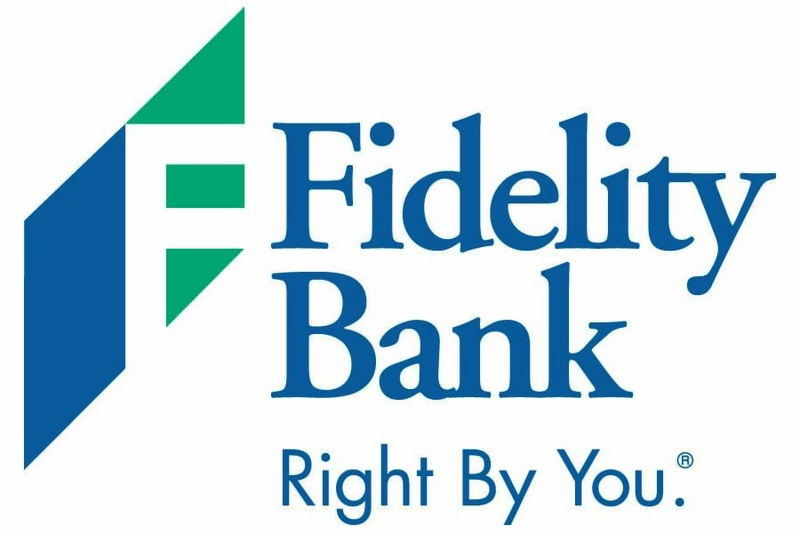 Clients include: VEREIT, DDR, Cousins, Invesco, Northwood Ravin and JP Morgan. Tenant representation is also another area of focus with national and regional clients such as Massage Envy, NPC International and Paintbase. Christina has a passion for being involved in the community. She served on the Board of Directors for TCAR, the Capital City Clauses, and the Raleigh Jaycees, and she currently serves on the Steering Committee for Band Together as well as the Annual Fund Committee for Habitat for Humanity. The Triangle Business Journal selected her for the 40 Under 40 Class of 2013, recognizing her contributions to the commercial real estate industry and the community. Lisa Freiden Hammond moved to Raleigh in July, 2015 to join the LM Restaurants family. Her role has expanded from HR/Training to include Payroll, Special Events, Marketing and a bit of operations. She started her career as a paralegal for the leading employment defense firm in the nation and became and HR practitioner in 2000. In over 18 years, she has build a deep expertise in all facets of HR/Training with a particular passion for Development and Coaching. Lisa has worked for a variety of high growth hospitality/retail companies, including IHOP, On The Border and Samsung Retail.